I do not have any experience in scuba diving; can I dive in Cabo San Lucas? 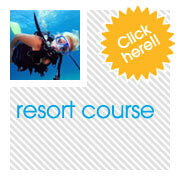 In Deep Blue we have the resort course program, if there is no problem with health, any person can do scuba diving. How long it takes the resort course? Since you come to the Deep Blue diving shop, until you come back, it will take 2 hours 30 minutes including the diving time. 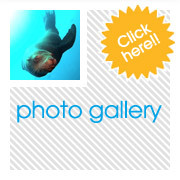 What diving experience do I need to dive in Cabo San Lucas as certified diver? In Deep Blue we are proud to welcome all level of divers, with our experienced staff, we can train or guide any level of diver. How many divers is the Deep Blue dive master or instructor diving with? 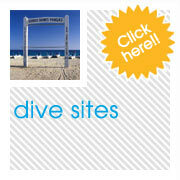 We like to do small group of 4-5 divers per dive master or instructor. When is the best season for scuba diving in Cabo San Lucas, Mexico? We can dive all year round the bay of Cabo San Lucas, but probably the best season is from July to January when the water is warm and also the visibility is very good. In Cabo Pulmo, La Paz and Gordo banks we dive only from may to the end of October. What type of wet suit should I wear? February to June 5-7 mm. When do I have to make reservations? 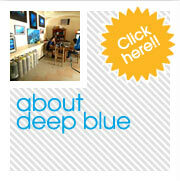 The Deep Blue service is personalized, we recommend to do the reservation at least one day before. I am certified but my partner is not. Can we dive together? Of course, you can participate with your partner in the resort course. The maximum depth will be no more than 45 feet. With Visa, Master card, Travelers check or cash.